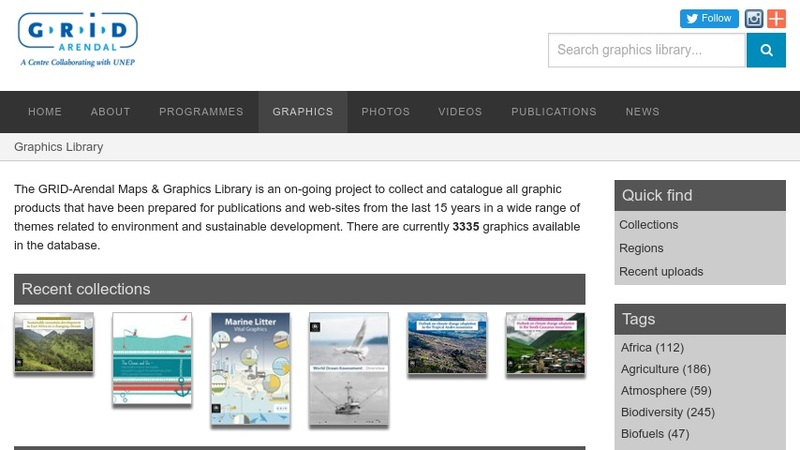 This collection of graphic materials provides an overview of the state of the world's fresh and marine waters. It also illustrates the causes, effects, trends, and threats facing water resources, with examples of areas of major concern and future scenarios for the use and management of fresh, coastal, and marine waters. Topics include water chemistry, climate change and sea level rise, threats to coastal areas, and threats to biodiversity. There are also presentations on freshwater use and availability, wetlands, fisheries, sedimentation and runoff, froundwater resources, and many others. These resources are available as image files (JPEG) or editable, printable files (PDFs).